A summertime refreshing drink as it has a natural cooling effect on palate. Honeydew melon is a very hydrating fruit and nutrients powerhouse that is excellent for reducing water retention. It is an excellent source of potassium which helps maintain healthy blood pressure levels.It is a good source of copper which helps as an anti-aging property. Combine the diced honeydew melon, pomegranate arils with lime juice, black salt and blend until you obtain a smooth puree. Strain the puree, chill for atleast 30minutes or until ready to serve. Pour it into a serving glass top it with chia seeds, stir lightly and serve immediately. Can replace black salt with table salt. 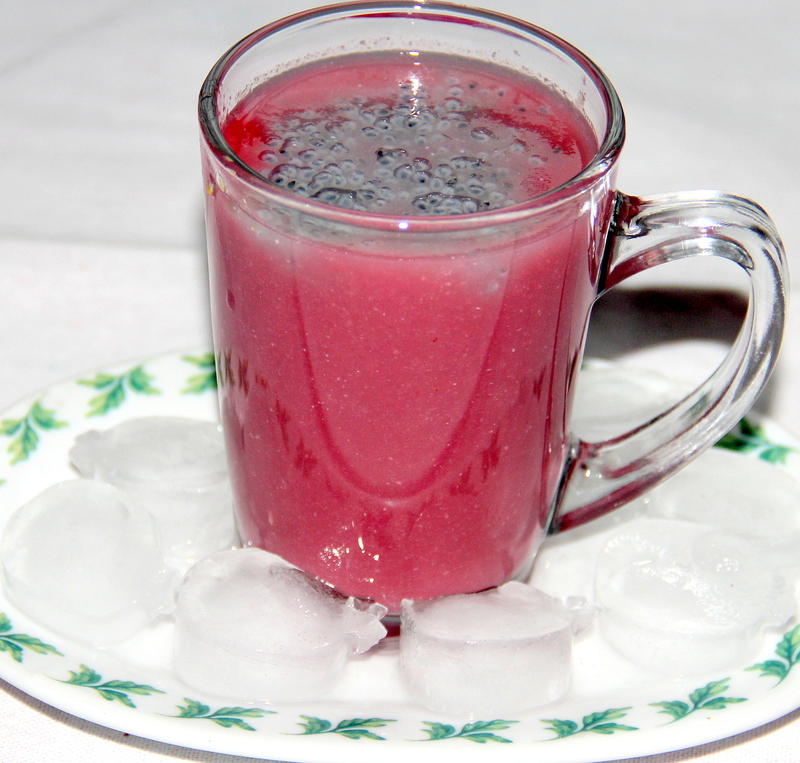 Posted on August 7, 2014, in Juices/Beverages and tagged Chitras healthy kitchen, drchdietfood, Healthy drinks recipes, Pomegranate juice recipes. Bookmark the permalink. 23 Comments. Thanks Andy for your feedback…this really helps and motivates.. Sounds fantastic Chitra! I had some honeydew melon the other day that was incredibly delicious and sweet. Perfec thirst quencher chitra dear! !I love the chia seeds..